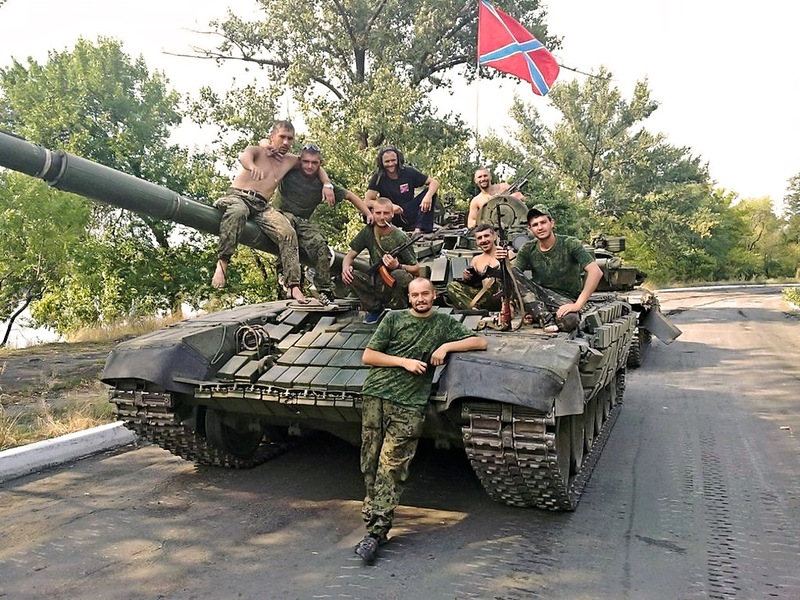 As a regular reader of Donbass news on Twitter for almost two years, I am deeply struck by the sorrow many feel at the loss and abandonment of the Novorossiya vision—abandonment not by the world at large, but by the leaders of Donbass itself. Further exacerbating this loss, which some call a betrayal, is the indifference of the Russian government to the fate of Donbass, as evidenced by Vladimir Putin’s avid promotion of the Minsk Agreements and support of the vile and corrupt regime in Kiev. Even so-called “Russian” media outlets such as TASS and Sputnik News continue to call the Donetsk and Lugansk People’s Republics “self-proclaimed”, just as the enemy does. I would urge the DPR and LPR leadership to ignore Moscow’s subversive pressure—apparently stemming from corrupt Western influence via the Kremlin oligarchs, NGO’s, and transnational financial powers that have infiltrated the Russian capital—and to strike out for true independence, which means, first and foremost, independence from Moscow. But DPR President Alexander Zakharchenko continues to claim that alignment with and dependence on Russia are the only hope for the survival of the Republic, despite the sacrifice in sovereignty, and at this point openly seeks membership in the Russian Federation, an impossible dream in the political environment of today. Meanwhile, ongoing Ukrainian bombardment of DPR front-line villages goes largely undefended by the NAF militias, as Kiev forces use their recently captured DPR towns as staging areas for attack. On this score, Zakharchenko has backed off on his earlier promises to defend the Republic if necessary, and now resorts to platitudes and proclamations without any call for military action. It is easy to see this as betrayal, hard to see it as beneficial to the DPR, and impossible to see it as loyalty to the ideal of Novorossiya the militias fought for. Nevertheless, I have not taken a stand against Zakharchenko for complex reasons. First, it is amazing that after almost two years there still exists a Donetsk People’s Republic. The DPR, despite its compromised status, is and remains the single most successful contemporary rebellion effort against the Global Power Elite that I know of. Second, to overthrow Zakharchenko, as some pro-Donbass observers advocate, would certainly be a mistake—no less a mistake than the West overthrowing Saddam Hussein, Qaddafi, Assad (should they succeed) or Yanukovich. Coups invariably result in chaos and seizure of power by tyrants. Third, Zakharchenko is holding his ground—what’s left of it, that is—despite the fact that all the world powers, including Russia, are against him. Any man who can achieve that is worthy of praise and support. Fourth, while the population of Donbass voted for independence, they did not vote for war. 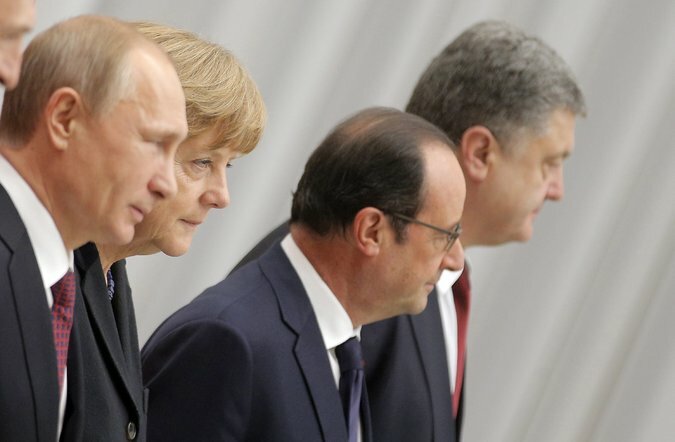 The end of the Minsk Agreements risks the resumption of full-scale hostilities, to the detriment of innocent victims. Fifth, the DPR is in a holding pattern. World events might lead to a toppling of the Ukraine government or other regional wars that would incidentally result in either freedom for Donbass or incorporation into the Russian Federation. Still, I am divided. On the one hand, my disappointment is extreme, and I empathize with Twitter source @OceanEchoes, who says some days he feels so bad he has to go off and do something else! On the other hand, Alexander Zakharchenko is all we have left to support. 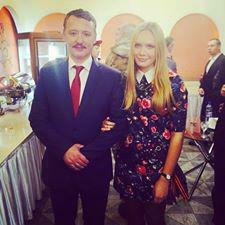 DPR writer and humanitarian volunteer Valentina Kornienko,abducted without charges by DPR officials for her dissident opinions, shown here with Igor Strelkov. I have often expressed similar sentiments. See for example, my commentary Donbass Elections Postponed & Valentina Kornienko Abduction: Death of the Novorossiya Dream, by Kennedy Applebaum (October 6, 2015), and the Quemado Institute editorial Shirokino Retreat: Gambit, Blunder or Outright Betrayal? by Karl Pomeroy (July 2, 2015). Have you ever wondered how complete and unconditional betrayal looks? How a knife looks when it is stuck by a steady hand right between the shoulder blades during a friendly embrace? How poison looks when it is mixed into a glass of water given to a man dying of thirst? As it turns out, all this looks far more ordinary and prosaic than even the most meagre and impoverished human imagination could portray. As it turns out, betrayal is simply two sheets of paper with a row of signatures at the end of a column of dry, numbered paragraphs. The publicized text of the ceasefire agreement that was signed in Minsk is what this very real betrayal looks like. 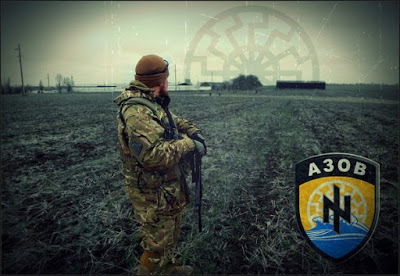 The betrayal of everything that the Novorossiya Militiamen fought and died for. The betrayal of Novorossiya itself, because, based on the text of this agreement, there is no place envisioned for Novorossiya, nor for the Militia and nor even for any “special status” for the People’s Republics. The Militiamen? According to this agreement they are now exiles and must leave the Donbass. Forever. 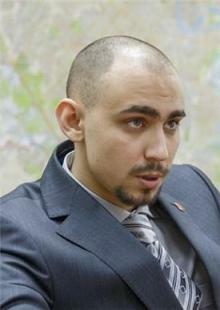 Yes, the merciful Ukrainian side undertakes to pardon and not to criminally prosecute them. But only after they lay down arms and remove themselves from the territory of Ukraine. After all, according the agreement, all the unlawful military formations (meaning the Militia) must immediately be withdrawn beyond the boundaries of Ukraine. Prisoners of war? Only the Militia is obligated to release them. The text of the agreement refers only to hostages and unlawfully detained persons, and, from the standpoint of Ukrainian law, the detention of Militiamen is perfectly legal. Like with terrorists. After all, this is the label that the Ukrainian state has applied to them. This is not even the new Khasavyurt. At least pursuant to the Khasavyurt Accord, Russia did not promise to become part of the Chechen Republic of Ichkeria and did not agree to expel its own army from the country. This agreement is something incomprehensible and beyond the pale; it remains a mystery as to how the representatives of Novorossiya could have signed this masterpiece of Ukrainian arrogance and conceit. To abide by this agreement is to spit—lasciviously and with great relish—in the face of every Militiaman and civilian murdered in the conflict; to spit in the face of those who were burned alive in the Odessa House of the Trade Unions; to spit in the face of the “Madonna of Gorlovka” and her murdered child; to spit in the face of all those left disabled, all those who—in their prime—were left without arms, without legs, without eyes, all those who until the end of their days will now be crippled because of this war. And then, it is to spit in the face of those who lived in homes devastated by Ukrainian artillery and air power. All those who lost their livelihood, the roof above their heads and their familiar lives. All those who lost everything and through several long months buried friends, relatives and loves ones—buried their husbands and their sons. Those who no longer lived, but survived, after war burst into their land. Yes, peace is needed. It is needed both by Novorossiya and by Ukraine. This war has already claimed too many lives and brought too much suffering. But what is needed is a real peace treaty and a subsequent divorce into two separate states. And the papers that were signed in Minsk do not represent a peace treaty. They contain an act of unconditional surrender that has no analogue in the world other than an agreement of annexation of the defeated party. So we very much hope that this agreement will simply be ignored on the front-lines—that it will be dismissed as one would with a nightmare, and that Novorossiya will continue its struggle. A fight for a real Peace, until true freedom and independence are secured. After all, by honouring this agreement Novorossiya will itself, by its own hands, commit suicide. 1. The war in Ukraine has been witness to war crimes enmasse. Thousands of civilians have been slaughtered by the Ukraine army, and many more thousands have been maimed for life. During the first few months of the war, a deal like Minsk may have worked. After a year of the national government turning the guns of war against “its own” cities and villages the blood and destruction is far too great. Then there are the thousands of dead and wounded troops on either side. And their families. Are they supposed to submit to an agreement that allows the Ukrainian government to rule over them once more after such massive human rights abuses? Almost as astonishing, the new Minsk deal calls for those who were responsible for these crimes against humanity to be pardoned from prosecution. An action that leaves human spirit betrayed. It defies the basic tenets of justice in the most vile way. A politically expedient hand shake that washes the blood of tens of thousands from the hands of those responsible. The list goes on and on. Minsk 2.0 is nothing but a shallow, “diplomatic” attempt to appease the interests of Russia and Ukraine while ignoring those central to the equation: the people of Luhansk and Donetsk. A betrayal. An insult. Such an agreement can never have a long shelf life. It is doomed to failure because it ignores the human will and its need to see “justice done”. Such an agreement leaves the wounds of war to fester and breeds deep routed hatred and resentment. It is not honourable and it is not practical. It is but a grand gesture, in a grand hall, that disrespects honour, sacrifice, and the human will to be free of one’s oppressor. Shame on all involved.